Con queste tre illustrazioni giunge al termine questa storia molto bella e delicata… Se non avete visto le precedenti basta scorrere questo blog in basso, trovarle e godersele! 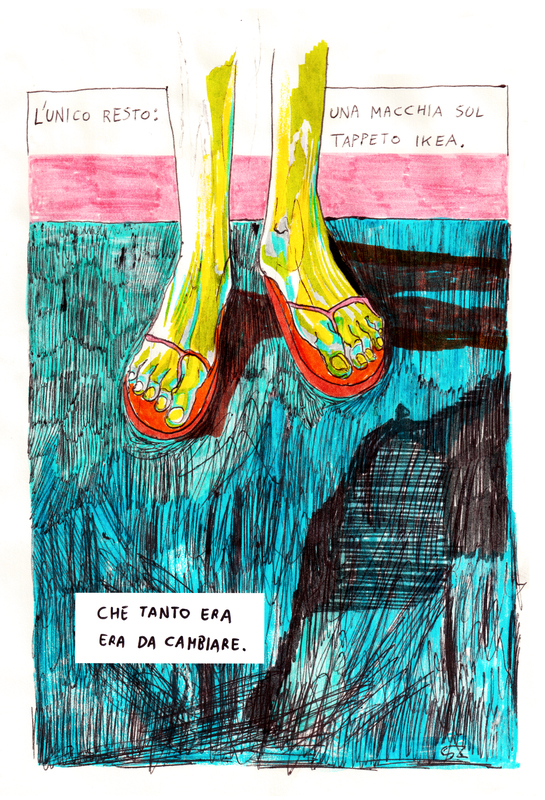 Questa voce è stata pubblicata in Uncategorized e contrassegnata con aka, DDt, domenica di pioggia, Ep.3, fumetti, Fumetto, giacomo sargenti, gregori, Yuri Mari. Contrassegna il permalink. I just enjoyed your primary web property and even emotional baggage. Thanks alot : ) pertaining to creation this process plus i hope to examine far more from you finding out later. Superb careers hiring your internet site fresh and additionally premium quality with no need of most junk posts. Do i possess any options when considering my own, personal website to keep your they exempt from junk mail? awesome great for example like email? This is often an awesome web page, thanks a ton just for this. a few hours to get this particular spot. as well as a good deal junk mail. You plainly get hold of therapy associated with many of the junk and preserve your website purge and high-quality. Might you have a techniques for my own, personal web log?